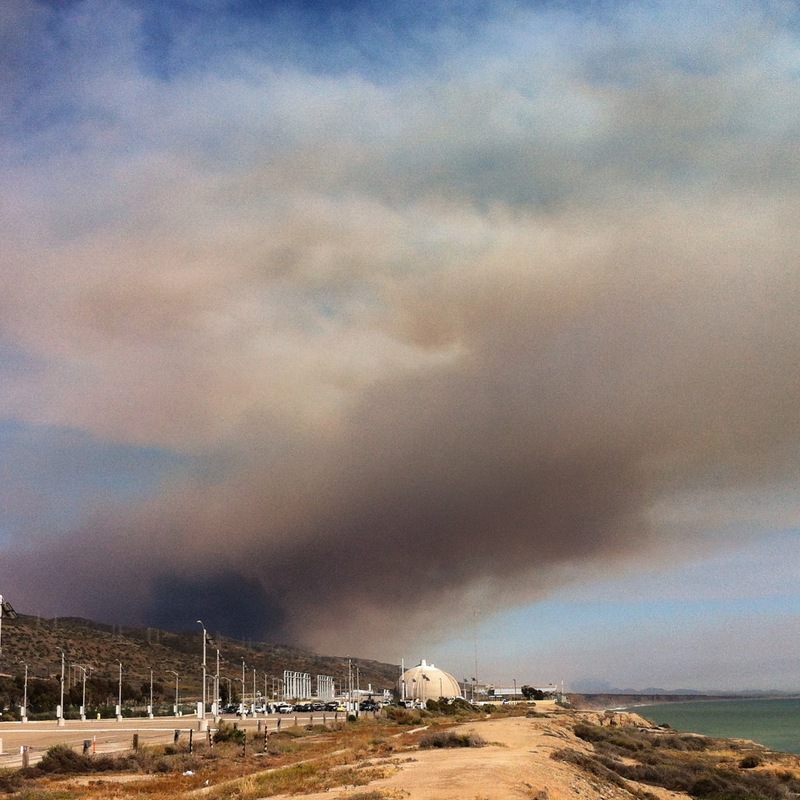 Docket ID: NRC-2013-0271 As fires burn near San Onofre, I'm so glad it's closed permanently! Five or six miles to the south of me, and two or three miles to the north of me, and 15 miles inland (east) of me, brush/forest/house fires are burning. Another fire has been burning very near the permanently-closed San Onofre Nuclear (Waste) Generating Station, about 20 miles north of where I live. And it's only May 15th! At this rate, what will be left to burn by the fall, the peak of southern California's fire season? So I think this is an excellent moment to THANK EVERYONE once again -- including Southern California Edison's employees who, after all, actually made the decision -- for shutting that awful plant down! Now that the reactors are NOT OPERATING, we can all breath a sigh of smoke-filled relief that there wasn't a complete "Station Black-Out" (SBO, a loss of offsite power and backup generation capability) at San Onofre during its 45 years of operation. We know how SBOs worked out for TEPCO at Fukushima: Three ongoing meltdowns. It wouldn't have been any better here (and it might have been worse -- much worse). This is also a good time to point out that if the spent fuel dry casks are in a fire for too long, it could result in a breach of containment, a serious accident the Nuclear Regulatory Commission has no plans for (because they claim it is too unlikely to have to protect against). The concrete pad, parking lot, etc.. presumably protect the dry casks from anything that could get close... presumably being the keyword there. One unlikely -- but not impossible -- scenario being, for example, a tornado dropping a gasoline truck from the highway onto the dry cask farm. That might not go so well for San Onofre, and I'll bet hundreds of fuel trucks -- and rail cars loaded with all sorts of combustibles -- and chemicals -- go by every day. Tornados aren't too likely here, but not impossible. There are now approximately 2,000 dry casks in America (about 50 at San Onofre, with more than 100 to come), and there will be about 10,000 dry casks around the country within a few years, just from what is currently in spent fuel pools. On average, about 10 tons more spent fuel nuclear waste is being made every day. The NRC has decided that there is no significant safety difference between fuel in spent fuel pools and fuel in dry casks -- even an overcrowded spent fuel pool or a decades-old dry cask. According to the NRC, all spent fuel pools are equally safe regardless of spent fuel assembly packing density, because additional neutron shields and chemicals in the pool water are used to balance the safety element. For dry casks, safety factors can be improved several ways, such as by using "cans" to isolate those spent fuel assemblies which have damaged fuel rods. Also by packing old fuel with new fuel, and "high burn-up" fuel with low burn-up fuel, so that the total heat load is within specified parameters. There are regulations for the minimum thicknesses of stainless steel canisters, cement outer packs and so on. These regulations are set to protect the fuel against "reasonably foreseeable" accident scenarios -- but not against ALL accident scenarios. That would be impossible. For that, mitigation comes in the form of odds -- those accidents are deemed to be very unlikely. An asteroid. A large nearby earthquake. A large tsunami. A terrorist attack. It takes a lot of guesswork to set those standards, especially when many of them are "generic" and assumed to be as accurate for a nuclear power plant in New York as for California, or anywhere else in America. In any case, the NRC does not consider ANY accident that will result in a large release (greater than, say, 0.01% or less of the total fuel load (or even only a millionth of the total fuel load)) to be a "credible" or "design basis" accident. Emptying the spent fuel pools into "temporary" (for who-knows-how-many decades) dry casks is risky. When finally transporting them (somewhere), the longer we wait, the more of a nightmare moving them will be, due to the ever-present embrittlement issues. All parts of the casks are going to crumble as time goes by: The cement, the "stainless" steel, the fuel assemblies, the Zirconium alloy cladding, and the hot, radioactive, still-fracturing, still-decaying fuel elements themselves. Spent fuel is stored at about 75 locations around the country. About 15 of them do not have operating reactors. The "obvious" solution is to consolidate the waste somewhere desolate and safe (no earthquakes, no volcanoes, no tornadoes, no tsunamis, no floods or water seepage, no rodents, no terrorists, no commercial airliners overflying them... go ahead: name that place. Dry cask storage is an abomination of the promise to remove the waste, a promise made by every pro-nuker ever. There is no such place and never will be -- so of course it's time to shut down ALL the reactors permanently. But instead, even California could actually allow new reactors if a "permanent" national repository is opened somewhere. Even if that repository won't be taking all our current waste for several decades after opening (which, itself, will probably take decades). The fight to stop nuclear power isn't won, but San Onofre is permanently closed, and that's a big step in the right direction for southern California. Today, as our cities are ablaze again, the power is staying on (at least so far...). If San Onofre were still operating, the fire burning near SanO could have caused them to SCRAM the reactors (drop the control rods) when offsite power was lost or even if the power lines were merely threatened. No matter how often the NRC repeats the line that a SCRAM is a routine operation -- it is anything but routine. It's more like landing a jumbo jet on an aircraft carrier. Pilots have a saying: There are no bad flights, only bad landings -- unless the plane goes up to 41,000 feet and the pilot (or somebody) cuts off the forced air so the oxygen masks drop, then 15 or 20 minutes later the oxygen is used up, and some time thereafter, the lifeless, empty-fueled jet gently touches down gear up into the ocean, fills with water, disappears under the waves, and leaves no trace. Alternatively it could crash into San Onofre's dry casks while the plane is still loaded with fuel. Even with the plant closed, this is a very real threat. Brush fires even a few miles away could also drop hot embers all over the power plant. Removing the waste is the only thing that will free southern California from the yoke of nuclear nightmares. But removing the waste isn't going to happen for a very long time, so we need to do everything we can to make sure it is stored as safely as possible and in such a way that it CAN be removed -- if there ever is a better place to put it (someone mentioned the Aleutian Islands recently. Obviously, someone who doesn't live in Alaska!). Instead, the current plan is to pack the fuel into dry fuel canisters which hold a whopping 32 fuel assemblies each. Half of those assemblies can be already damaged when they are loaded into the dry cask canister. All spent fuel should be treated as potentially damaged, requiring storing each fuel assembly in "fuel cans" to reduce the possibility of a criticality event. 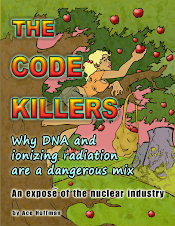 The NRC and the nuclear industry -- and many anti-nuclear activists -- are in a rush to put nuclear waste into dry casks. But a lot of safety factors had to be compromised to allow long term storage of spent nuclear fuel on site in the first place. Let's think this through. There are undoubtedly better materials that the dry cask canisters could be made with -- but they are much more expensive. Perhaps it is better to leave the waste in the pools while waiting for a national consolidation of our nuclear waste sites (consolidation is only reasonable after CLOSING a reactor site). Southern California Edison plans to upgrade to NUHOMSÂ® 32PTH2 dry cask system to store their highly radioactive nuclear waste. This means storing 32 nuclear fuel assemblies in a space original designed for 24 fuel assemblies.. The higher number of fuel assemblies brings higher risk of radiation releases, especially for the hotter and more radioactive high burnup fuel. This is a brand new design that the NRC approved. However, the NRC is accepting public comments until May 15, 2014. If they get enough significant comments they said it may delay approval. Submit comments at this Federal Register link. Refer to Docket ID NRC-2013-0271 in any correspondence to the NRC about this. The NRC should not lower safety standards by approving this new canister. From Donna Gilmore and Gene Stone. We know it is late so please act now. Is there room in the containment dome to store any of this garbage ? I've thought about it [before] and realized that there's probably room for only a small portion of it. The casks are pretty big. And I don't think the floor is very even, and probably not all of it could take the weight, though probably some could. They could probably put a new pool there, but I doubt even two of those could hold all the waste, and many people object to spent fuel pool storage anyway of course -- but it might be the right idea anyway. However, I don't think there's room for more than single-digits of casks inside the domes, and they'll have about 150 casks to worry about when they're done. Or rather, we'll have them to worry about, and our children will, and their children. Thank goodness there is only a limited supply. Other communities will have an endless quantity of these dastardly things! One problem I've thought about with putting them in the domes is that the casks aren't really as strong as they look from the outside. Another problem is they might crumble from old age sooner than expected, and we wouldn't want pieces of them falling on the dry casks (or on a new spent fuel pool, for that matter). I do actually believe that with enough money to buy things like "nickel-based alloys" or something else no one wants to "splurge" for, there's a possibility the spent fuel can be far more safely contained -- but still by no means "good enough" by any standard, just several orders of magnitude better. Something that is akin to the pyramids, but high-tech. And no-fly rules, and anti-aircraft installations, and anti-ballistic nuclear missile -- hardened... okay, of course that can't be done. But even using better alloys would probably bankrupt every nuke operator if they had to allow for that sort of cost (didn't one go bankrupt in Texas this week?). I'm not advocating it because I want to see them go bankrupt, of course -- I'm advocating it simply to save my planet! The nuclear industry's coming bankruptcy is an inevitable consequence of being in the wrong business, one that is not sustainable.